Today’s guest blog is by Brian Freeman. 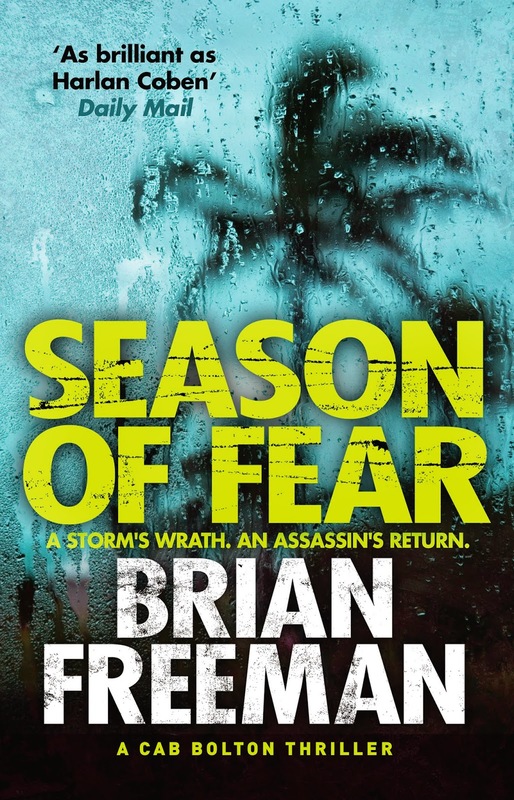 Brian Freeman is an international bestselling author of psychological suspense novels. His books have been sold in 46 countries and 20 languages. 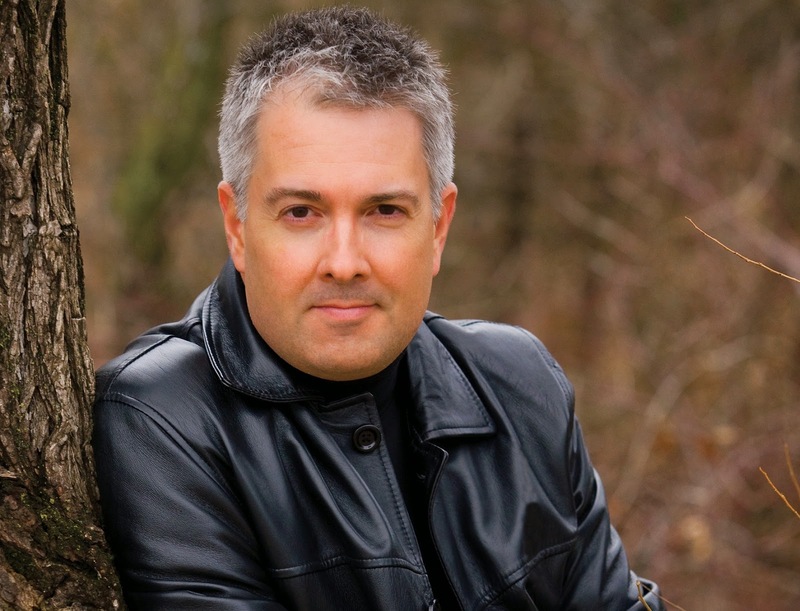 Brian’s debut thriller, Immoral, won the Macavity Award and was a nominee for the Edgar®, Dagger, Anthony, and Barry awards for best first novel. Readers first met Cab Bolton in my sixth novel The Bone House — which was also my first novel not to feature Duluth police lieutenant Jonathan Stride. I originally envisioned The Bone House as a stand-alone, but readers soon demanded to see more of this quirky Florida detective. Well, after the pure stand-alone Spilled Blood (which won the 2013 Thriller Award for Best Hardcover Novel) and the new Stride novel The Cold Nowhere, Cab Bolton is finally back in an all-new thriller Season of Fear. So how does Cab Bolton differ from the intense, introspective Jonathan Stride? “Sarcasm doesn’t suit you,” Cab Bolton’s mother tells him. “And yet I stick with it,” he replies. Cab isn’t your typical cop. For one thing, he doesn’t look much like a cop. Imagine a young Peter O’Toole…absolutely amazing blue eyes, spiky blonde hair, skin so perfect you want to know what moisturizer he uses. He’s crazy-tall and wouldn’t be caught dead in anything but an expensive suit. He’s got money, thanks to his Hollywood mother, so he’s a cop not because he HAS to be but because he WANTS to be. He enjoys the game. The challenge. He’s clever, and he’s good at it. However, Cab may as well wear a sign that says: Does not play well with others. He hates authority. He doesn’t like rules. He’s still figuring out what he wants to do with his life. And for most of his 35 years, he’s been playing a game of hopscotch, jumping from place to place. Other cops call him Catch-a-Cab Bolton, because he always has one foot out of town. He loves women (okay, he has that in common with Stride), but he doesn’t trust them. He’s been betrayed by women before, and he grew up with a mother who didn’t know the meaning of commitment herself. So his relationship with his girlfriend Lala is on-again, off-again. There are fireworks in bed and fireworks when they argue. Don’t make bets on a long-term affair for them. His other relationship — with his actress mother Tarla — is just as problematic. He lived on the other side of the world from her for years, but now she’s back in his life and trying to control it. Tarla made Cab who he is, and he’s not entirely sure he likes that. She also keeps secrets from him — like not telling him who his father was or why he has the odd name Cab. So when people ask, he just makes up stories. One thing about Cab…he’s genuinely charming. Handsome. Funny. Sharp. He banters with friends and enemies alike. He’s secure about who he is and who he’s not. He takes life seriously and himself not at all. Which makes him impossible not to like. books (except the Vegas-based Stripped) have taken place in the American Midwest, with its dirt roads, bitter winters, and dark forests. I love the drama of those settings, and I like to give readers a “you are there” feel, where they are dropped into the middle of every scene and can taste, touch, feel, and smell it happening all around them. However, Florida weather is typically so darn nice that writers just seem to have fun with it. Many of the great Florida writers are satirists (think Hiaasen) who deliciously profile the offbeat, Jimmy Buffett-meets-Lindsay Lohan attitude of Miami and the Keys. Me, I wanted to see if I could export my love of dark settings to a place called the Sunshine State. Needless to say, some really bad weather is headed for the coast. Cab is a Florida detective, but will he stay that way? Don’t count on it. You can’t separate Jonathan Stride from his hometown of Duluth, but Cab doesn’t have the same roots. He doesn’t have a hometown at all, and chances are, he’ll show up in other settings going forward. them together in a book. More information about Brian and his books can be found on his website. You can also follow him on Twitter @bfreemanbooks and find him on Facebook.